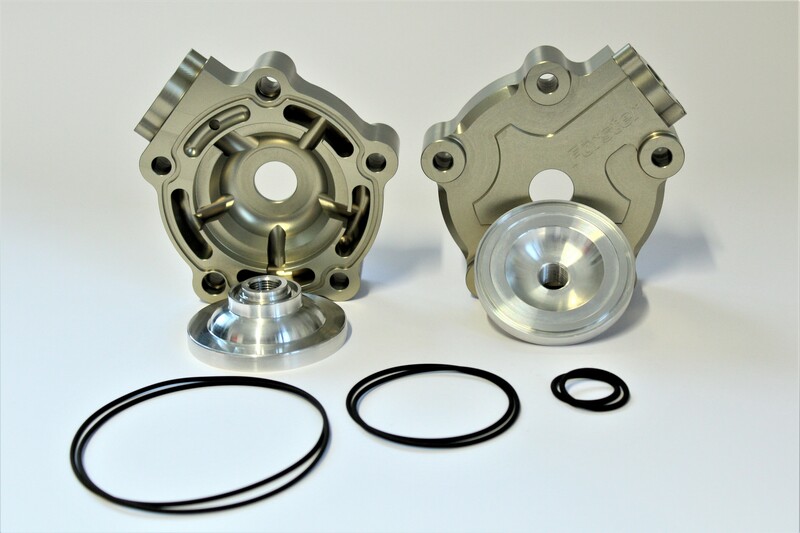 No cylinder distortion thanks to elimination of the standard soft gasket. 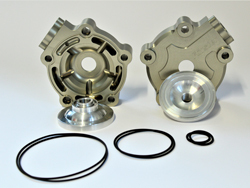 With a standard or SP gasket, cylinder distortion may reach as much as 5/100 mm. Rapid removal for inspection of scavenging patterns and functionality. Cost of cylinder head gaskets is eliminated since gasket is no longer needed. In combination with other power-enhancing modifications, we achieve engine outputs of over 80 metric HP (approx. 59 kW) with our proprietary combustion chamber design. In the design of these cylinder heads, great care was taken to maximize stability and corrosion resistance. milled cylinder head complete set 370,- EUR We hold the right for pricechanges!